The council’s code of conduct for elected and co-opted members was adopted in 2012 and is underpinned by the seven principles of public life, otherwise known as the Nolan principles. Following an internal review, numerous changes have been proposed to the code, as well as the council’s planning protocol and protocol on member/officer relations. Jan Bakewell, the council’s deputy director of legal and governance, told the standards committee this week that a review was undertaken to ensure the documents are “up to date and fit for purpose”. Ms Bakewell said the review was instigated after members attended ethical standards and code of conduct training last October, which highlighted a number of issues. She said these have been considered and addressed as part of the review along with other “appropriate” changes. The council’s review has been informed by a review by the Committee on Standards in Public Life (CSPL), an independent advisory non-departmental public body that advises the Prime Minister on ethical standards across the whole of public life in England. The CSPL review contains numerous ‘best practice’ recommendations for local authorities to consider, which it says represent a “benchmark for ethical practice”. 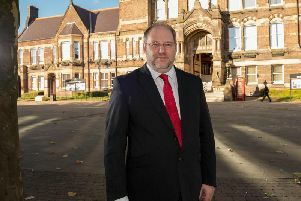 In light of these, St Helens Council has proposed changes to its code to include guidance around discrimination, harassment, sexual harassment, bullying and victimisation. “We have included a definition of harassment and bullying, supplemented with a list of examples of the sort of behaviour covered by such a definition,” Ms Bakewell said. “That also includes sexual harassment. Numerous changes have also been proposed for the council’s protocol on member and officer relations. Ms Bakewell told the standards committee the document has not been updated for some years and is “long overdue”. She said there is no statutory requirement for councils to adopt such a protocol but is “clearly good practice to do so”. Five new sections around politeness, respect, provisions around appointments of officers and visits to premises and land, have been added to the document. Several additions have also been proposed around how elected members interact with council officers. Ms Bakewell said: “The purpose of the protocol is to give guidance on the respective complimentary roles and responsibilities of members and officers, and expectations on their relationship with each other. “It also gives guidance on what to do on the rare occasion when things go wrong. Another proposed change is for members to notify the council’s monitoring officer of any gift, benefit or hospitality with an estimated value of £25 or more which they have accepted as a member from any person or body other than the authority, within 28 days of receipt. The notification will be entered on a public register. Currently this is set at £50. Finally, several changes have been proposed to the council’s planning protocol, which was last updated in 2016. The document provides guidance on how members should conduct themselves when determining planning applications and determining meetings. Ms Bakewell said the aim is to ensure there are no grounds for suggesting a decision has been biased, partial or not well-founded. A number of proposed changes have been made regarding the planning committee making decisions contrary to officer recommendations. Other notable changes relate to site visits. Under the proposals, members of the planning committee who are likely to take part in the decision-making process will need to seek advice from the monitoring officer or the deputy monitoring officer if they are invited to attend meetings with applicants, developers or groups of objectors. Members can then decide about their attendance at the committee having taken account of the issues relating to predetermination. Other proposed changes relate to gifts and hospitality and comments made by elected members to the media and on social media. 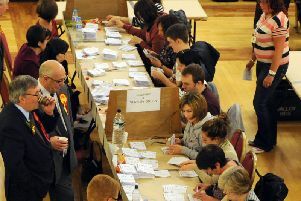 Labour’s Sue Murphy, deputy leader of the council, said it is “really important” the council adopts the proposed changes. Cllr Murphy said: “I welcome these documents. They’re clear, they’re concise and I think it’s really important that we adopt them. The standards committee recommended the changes to the three documents to full council for adoption at its annual council meeting on May 22.